The countdown to Halloween is on... are you ready? If not, here's a round up of some of my favorite ideas seen around blogshere this week, perhaps it will help get you into the Halloween spirit... enjoy and Happy Halloween! How amazing are these pumpkins for a different take on pumpkin carvings? Check out more of Nicole's brilliant Halloween ideas at Making it Lovely - her front porch is my favorite! 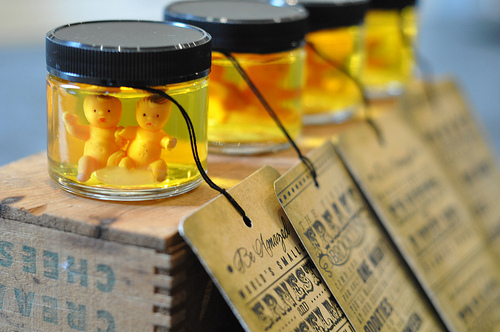 From party invitations and outdoor decorations Mrs. Limestone goes all out, hop over to a brooklyn limstone for more spooky ideas. Melissa did a take on Mrs. Limestone 2009 Halloween theme - I think it turned out fabulous! Check out the night shots by going to her blog HOUSEography. Staci at Staci Edwards Design did a round up of stylish Halloween decor yesterday, check it out for great ideas! For a chic take on pumpkin decorating check out Shannon's post at What's Up Whimsy. Kelly at Jax does design did a great post on Creepy Cakes & Cookies, check it out for a little bit of deliciousness! Cristin at Simplified Bee did her own Halloween round up from blogland this week. And finally, for quick & easy Halloween printables check out Jennifer's post on Speedy Decor at Rambling Renovators. Your house looks great, Wendy! The cob webs are so spooky :) And those pumpkins are so Halloween-chic. Can Halloween get any more glamorous than metallic pumpkins lined in fushia? I don't think so. Mrs. Limestone's invite are sooo creepy! Thanks for including me in your Halloween round up! I love the colors of the pumpkins...very pretty!! Thanks for coming to my new blog! I'm excited to join yours as well. I also love interior design and look forward to sharing ideas! 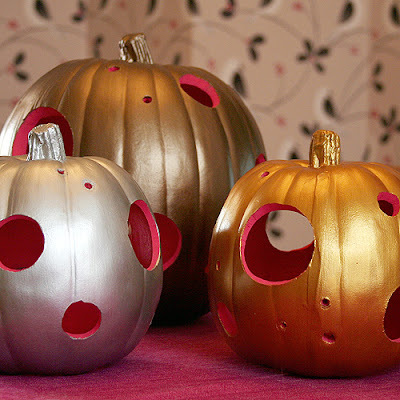 Really loving the metallic pumpkins! Such a fun idea! Thanks for the shout out Wendy! I am loving those pumpkins from Making It Lovely! Many thanks with regard to visiting my personal brand new weblog! I am fired up to become listed on your own too. We additionally adore interior planning as well as anticipate discussing suggestions!